DIRECT FROM LOURDES - Art Metal Confirmation Cross with Dove. 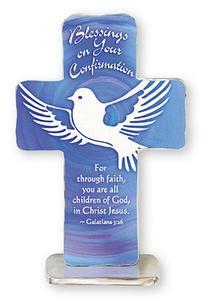 Art Metal Confirmation Cross with Dove. Hand painted and infused with the artist's design, each cross is indivually hand polished.